Tim Schafer has said that Brutal Legend 2 will eventually happen, although it’s not in development yet. 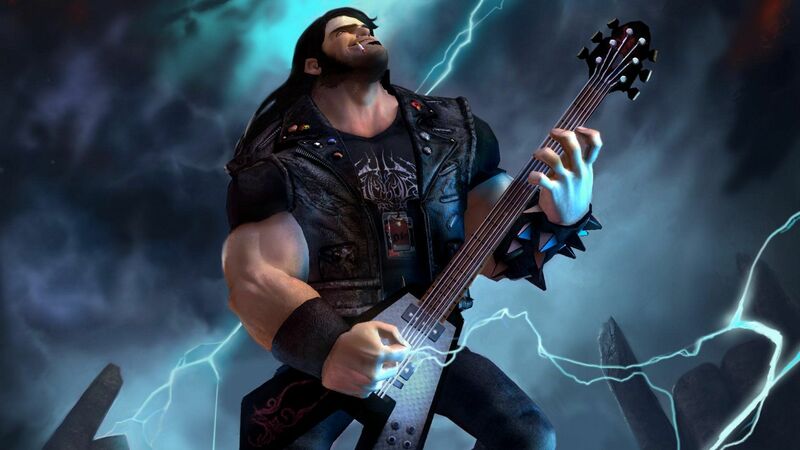 Appearing at E3 alongside Brutal Legend star Jack Black for an informal Q&A discussion, Schafer made some statements about a possible follow-up to Double Fine’s well-liked tribute to heavy metal. As reported by Gamespot, when audience members asked about Brutal Legend getting a sequel, Schafer said with some confidence, “someday we’ll make that game”. That’s not necessarily a firm promise, of course, but it’s a definite statement of intent. Back in 2015, the Fig campaign for Psychonauts hinted at a possible future for Brutal Legend. Brutal Legend was an expensive game to make, though, and Schafer notes that a sequel would be expensive too, costing more than just a crowdfunding campaign could pull in. He made similar statements in 2014, after the release of Broken Age, stating the Jack Black might be up for it as well. Brutal Legend 2 was in the planning stages years ago, until publisher EA cancelled it. The period after this cancellation has been referred to as the company’s ‘dark age’ in interviews, with the team having already invested heavily in the sequel that never came to be. Some day, though, we may still see it. The original Brutal Legend was released on PC, Xbox 360 and PS3 back in 2009.